"兩obiuz.com offers zero-fraud ads to Advertisers globally. Ad-Fraud is a giant $500'B yearly pandemic, becoming the world’s #2 criminal enterprise. 兩obiuz uses Biometrics, AI, IOT, Blockchain, and Crypto to provide a seamless, reliable, secure, and robust experience for Advertisers, Publishers, and Consumers. Based on the way it works, it can also be described as the AirBNB of Advertising. The Value Proposition offered to its users is extremely compelling, and is not offered by anyone else on the planet." #Mobiuz #Crypto #Blockchain: The AirBNB of #Advertising. Zero-#Fraud #Ads in #Taxi s, #Uber s, & #Bus es Worldwide. *WHY*: Real product, pre-alpha, 20-permStaff, seed-funded. - Kairos Siddharta Kaizen, CEO of 兩obiuz ("ks.kaizen" on bitcointalk.org). The 兩obiuz ICO will start 4/20 (April 20th 2018) for a period of 4 months, while the beta gets finalized for the 兩obiuz Pilot. 兩obiuz is a Zero-Fraud, HD touchscreen interactive video advertising & infotainment platform aimed at worldwide passengers of Buses, Taxis, and Uber vehicles. 兩obiuz only charges by-the-impression, making sure to deliver an advertisement only when its facial-detection software recognizes an actual, living, human face looking in its direction. ① Bid and Win for AdSlots through the blockchain-powered and smart-contracts bidding process at Mobiuz.com (campaign creation and bidding as fast as 5 minutes). ② Trigger your ads globally within 24 hours of winning your bids, or make sure that your ads only get triggered within a few kilometers of your business. ③ Get debited only when impressions are actually delivered, and that they fit strictly to your custom criteria, in real-time, 24/7, worldwide. 兩obiuz is redefining Advertising and making it beneficial for ALL. Advertisers and Ad Agencies can now deliver in-vehicle ads that are location and time-specific, worldwide; only relevant ads are played to targeted people, and only when they are looking at the screen. Industry First: Zero Fraud Ads. Trace impressions through accurate monitoring and reporting using Blockchain, Biometrics, AI & Crypto. Wherever there are Drivers – there will be 兩obiuz. HEE HARR AND AHOY ye Crypto Pirates, if you are reading this, you must be interested in our Booty (Bounty) Program!! Throughout our Community's expansion, our Bounty Program will be implemented to reward all contributions of our Bounty Hunters. We believe it is important to recognize the work of our dearest believers. If you think that you can contribute by offering something with quality that helps other people to join or something that could help this Community, you are invited to participate. We are offering our participants a total allocation of USD $333,000 in MOBs (USD $0.003987 /ea MOB – total 120,000,000 MOBs). We are committed to go live regardless of the outcome of the ICO campaign. We will award a total of USD $333,000 and USD $50,000 in MOBs for special contests pre, during, and post ICO. USD $283,000 in MOBs will be used for the bounty campaign until the end of the ICO. The reward system can change if we do not reach the desired number of participants. Earn tokens spreading the word about the advertising network of the future! For more details about Mobiuz.com, visit our website, see the whitepaper, and get INVOLVED! Please note that campaign will end in conjunction with the ICO. ✅ $23'K in Mobitaels (MOBs) - Make 兩obiuz Memes! • Stakes will be calculated at the end of the campaign. • First week of the bounty campaign will start on 15.3.2018 10:00PM CET. • We reserve our right to walk you off the plank (eliminate) you if we discover that you haven't been honest with your work. 5. Take a screenshot once logged in, and paste this screenshot into the “Proofs” document. 6. Recommended: Go to https://tiny.cc , (recommended: create an account,) and shorten your url (https://mobiuz.com/index.php?promo=12345 -> please replace “12345” with your own assigned number! ), (recommended: and also choose an easy-to-remember custom-url, like “mobiuz-yourname”) so that it will be easier to share your 兩obiuz URL, e.g. 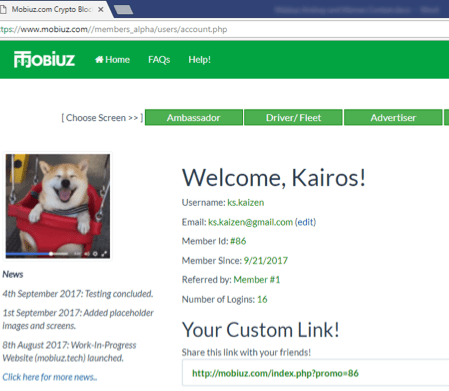 https://tiny.cc/mobiuz-kairos . Unlike regular campaigns, in this system, members don't get paid by fixed rates or pay per post rates. There is a total budget for the campaign (which is mentioned above) and users get paid distinct shares of that total budget. If you have X stakes, your payment would be: (total budget)*(personal stakes/total stakes). Where can I ask to be rewarded for my contributions? You can do this on Bounty0x https://bounty0x.io but if you get no answers you can also join the btctalk bounty thread. Who should I contact if I face any problems and need help? Please send us a mail and tell us what went wrong! Where should I send my proof of participation at the campaign? We are interested in quality members of the btctalk forum. Description: Follow the Signature Campaign rules to get your btctalk bounty. • Participants have to be at least Senior Member. • Every participant must wear our signature and personal text. • Multiple accounts will be banned if spotted. Spam is not allowed. • We expect you to post 10 constructive posts per week. Only 3 of these posts can be in local boards. • We will not accept all posts made in a single day. Try to spread your posting through the week. • Posts should be made in altcoin sections, local boards included (excluding bounties sections). • You will have to keep wearing our signature, avatar and personal text until the end of the ICO. • Do not fill the form without wearing our signature, or you will be rejected. We are interested in quality articles, blog posts, videos and other publications in English, Russian, Chinese, Indian, Spanish, Mexican, Japanese, Korean, Indonesian, Thai, Italian and German — preferably these languages, however we will also consider other languages. All publications should be original and will be measured by their quality, length, audience and creativity. Description: Write a quality blog post, review the project, or create a quality video presentation and earn 兩obiuz Tokens for participating in our Article, Blog and Media Program. • The blog/forum must be focused on a relevant topic. • Videos have to be meaningful and related to 兩obiuz: the Token Sale, aspects of the Whitepaper, related technology, video edition, etc. • Еach member should go through registration and wait for the approval. • You can publish your content through your website/Medium or Steem.it blog or Youtube channel. • Youtube videos must be at least 1 minute long. You must have at least 2000 organic subscribers. • Your Medium - Steem.it - LinkedIn or any other free blogging blog page should have at least 500 followers. Your article must be original and contain at least 500 words. All Articles must have a backup in Steemit, Medium and LinkedIn. • You should have links to our website and whitepaper. • You will get stakes based on the quality and popularity of your work, reviewed at the end of the campaign. • You are not allowed to use Google translate. If you do, you will be disqualified. • You are allowed to use any information or graphics from official sources. You are not allowed to copy paste our whitepaper or blogs. • DO NOT APPLY WITH SAME ARTICLE ON DIFFERENT WEBSITES. Try to use our images or references to 兩obiuz, 兩obiuz Intro or 兩obiuz Whitepaper if you are recording your desktop. Visit our website to get these. Link your video with our Community on every media we use to help us grow the strongest network in the ocean. • We will ask you to translate ANN,Bounty thread, website and whitepaper. • We might assign different people to these tasks. • ANN thread translators will be responsible for the moderation as well (we have additional rewards for moderation). The translator must keep the thread active by translation of official announcements, news, posts. • Translations must be original, using any kind of tools such as Google Translate or DeepL and similar are not allowed. If found the translator will be blacklisted. • Increasing the moderation post count by spam posts, posting false posts or paying other to ask questions in your thread is not allowed. • Newbies i.e. users with no previous experience of translation will not be accepted. Always ask before beginning translation and post your previous translation work. • You are expected to finish translation in (for ANN,Bounty 3 days, for WP 1 week) after you've assigned with the job or you will receive no bonus and be disqualified so we can always meet deadlines. We try to be as professional as possible so we want helpers that have the same mindset. • Manager and owners reserve the rights to add rules, or do any kind of reasonable changes. • ANN Thread translation will earn you 10 stakes. Bounty Thread translation will earn you 10 stakes. Whitepaper translation will earn you 40 stakes. At the end of the campaign we will distribute moderation stakes depending on your activity from 1 stake to 20 stakes. 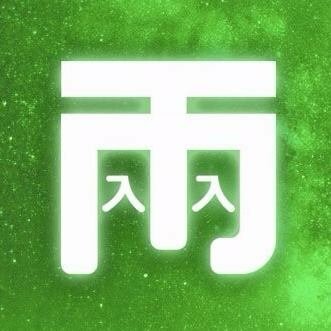 The most active thread will triple the Translation Bounty stake of its manager. Join our Telegram today. Be a part of the largest Advertising Network and earn bonus rewards. Payment will be paid along with all other bounties. Budget: $30,000 in 兩obiuz tokens will be allocated to the Telegram Campaign. • Must have a verified 兩obiuz account. Sign up on our Website. • User must be active and supportive in the group. inactive users can get 50% less payrate or can be simply be disqualified. The most active and helpful user over the whole period will get his chance to join the 兩obiuz team as Telegram Moderator and will triple his Telegram Bounty stake. • Any abuse will result in an account ban (All other Bounty applications will also be suspended). The groups below are simple guidelines, feel free to expand into other groups as well! Tweet about 兩obiuz, retweet our tweets and share about Mobiuz and promote us. Help us in reaching out the mass and get your reward in 兩obiuz Tokens. Budget: $30,000 in 兩obiuz tokens will be allocated to the Twitter Campaign. • All participants must follow our official Twitter account. • You must have at least 500 real followers to be approved. • Only one Twitter account per person is allowed. • Your Twitter account must be mainly about cryptocurrencies. We will also accept media personalities. • A user can participate in both Twitter and Facebook campaigns at the same time. Share posts about our project, share our posts and share about 兩obiuz and promote us. Help us in reaching out the mass and get your reward in 兩obiuz Tokens. • All participants must follow and like our official Facebook page. • We don’t accept bots or fake accounts. • You must have at least 200 real friends to be approved. • Everybody has to report their Shares, Comments and Likes. • Posting about 兩obiuz in less than 3 crypto groups a week will result in a 50% less stake. Posting in more then 10 will double your stake if you keep that up till the end of ICO with proof. • Great improvements can result in a special bonus! Most of the rules on https://bounty.ethereum.org apply to our bounty program as they are the best when it comes to bug hunting! UPCOMING Please wait for our official announcement and invite friends to be Mobibassadors to spread our word! ARR Mobibassadors lets sail together through this revolution! - Your Dearest 兩obiuz Captains.